Genre: General fiction (adult), Historical fiction. I fell in love with historical Cornwall after the BBC drama back in the 70’s led me to reading all the Winston Graham novels. Many times! I hoped this series would be along those lines but sadly though there are similarities the story itself was too bland and uneventful for me. It starts well, lots of promise but I was expecting the Poldark level of drama and it isn’t here. There is drama but its very slight, easily over and everyone is so -well- Nice. Kerensa is nice, Oliver is nice, Beatrice starts off being harsh to Kerensa but…she’s soon nice too,. Throw in others from the upper classes who welcome Kerensa (! ), the villagers who are mostly happy for her, the wise but open minded vicar, the shopkeepers….you get it. Everyone is so Nice. Clem is to start with too but turns nasty, but even his jealousy has a stunted edge, he never really does much except moan and wallow in self pity. Its not a bad book, felt very true to the period but I need more going on, more real drama, jealousy, angst, a bigger divide where Oliver marrying Kerensa would have caused a huge rift in society as it did in Poldark. I didn’t really understand why he married her, Tom was greedy enough that he’d have sold the land anyway, and Oliver could have fond a more suitable to his position wife than Kerensa. He’d barely noticed her so its not like he felt one look and he had to have her. Knowing she was already set to marry Clem he’s not the kind of guy who’d go against that just on a whim so his determination to marry her didn’t really work for me. The Poldark echoes don’t really do this any favours, Oliver doesn’t have the charisma of Ross, Kerensa is sweet but doesn’t have Demelza’s sharp wit and determination, Beatrice has shades of Trudy, but without Jud it doesn’t really work. There’s a kiddley run by a widow, the miners and their hard lives, wrecks on the shore and smuggling, even a Rosina with a bad leg but somehow it all feels so pallid. I expected Oliver’s contemporaries to be shocked, to be rude to Kerensa, for Clem to do more than wander round whinging, for the vicar to be spouting fire and brimstone, for the shopkeepers to be avaricious etc. Instead I read a novel that was probably far more true to the time period, but much less fun to read. 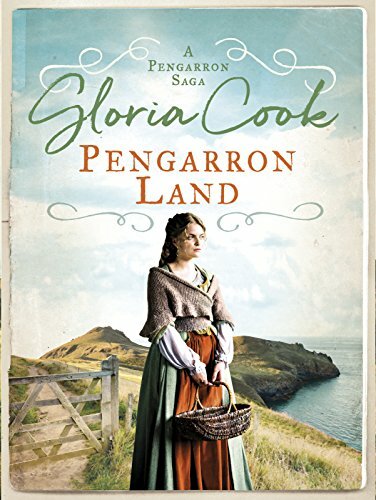 Its not a book I could dislike, its perfectly well written, just didn’t have the excitement and drama the Poldark connection gave me to expect. Stars: Three, a story I had high hopes for but which ultimately was just an OK read.